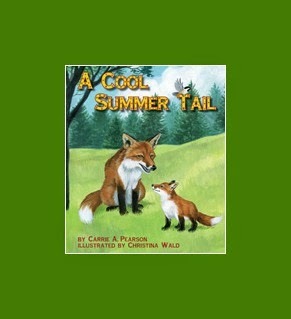 A Cool Summer Tail by Carrie A. Pearson and Christina Wald is one of the newest spring titles from Arbordale Publishing (formerly Sylvan Dell). It is a companion book to A Warm Winter Tail, which shows how animals adapt to the changing winter climate. In A Cool Summer Tail, the foxes and other animals (some of the same ones from the winter book) are shown adapting to the changing conditions of summer. This book is written in a compare/contrast style, with a surprise on each page as humans are shown in humorous drawings as they "adapt" like/unlike the animals. Concepts of adaptation include physical changes in the animals bodies, habit changes, environmental changes, and migration. 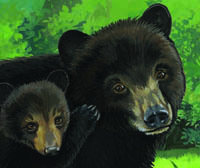 With the "For Creative Minds" enrichment activities, A Cool Summer Tail becomes a unit study on animal adaptations, and the Arbordale Publishing website provides a free downloadable teacher's guide with activities for reading, language arts, science, math, and geography. There are even printable coloring pages for young listeners to work on while listening to the story as a read-aloud. The printable cards are especially fun for card games like matching an "Go Fish." While we are trying to keep cool this summer, it is fun to learn about how animals stay cool and adapt to different weather conditions. 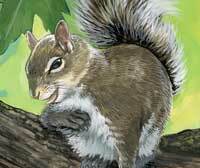 Did you know squirrels use their tongues to stay cool? Or that bees' wings are like little ceiling fans for their hives? We are learning lots of interesting animal facts, plus the beautifully illustrated pages are inspiring us to go outside to observe and draw in our nature journals.